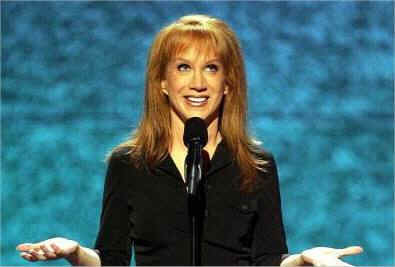 See the gallery for quotes by Kathy Griffin. You can to use those 6 images of quotes as a desktop wallpapers. I'm not an artist. I tell inappropriate stories and jokes and I try to make people laugh. My friend Anderson Cooper is the scion of one of America's great shipping and railroad families, the Vanderbilts. Remember, folks, I am a comedian, not a journalist. 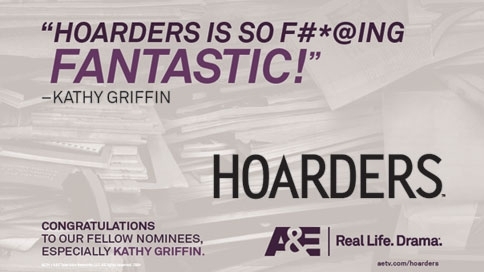 Much more quotes by Kathy Griffin below the page. Pretty much everywhere I go, I'm pretty much thinking I'm going to be bounced. I am still the outsider who snuck into the party. I identify with the regular person, because that is who I am. I apologize in my real life all the time. I say ridiculous things, I make mistakes constantly. But when I'm on stage, I'm at a microphone... it's a joke! I'm not somebody who no matter where I go there are paparazzi or any of that nonsense. But I have a little window into that world and I can enter it and dance around. I want to be the audience's ticket into the party. It is a challenge, with the global fame, to try to act like I put my pants on one leg at a time, when in fact I have Pippa Middleton help me put my pants on every morning. She's my lady-in-waiting as well. Oh, I constantly say things that I regret. I mortify myself constantly. But that's just part of the deal. I'm not really sure what's going to come out of my mouth. Well, I think that when I perform on the road I always thank the audience for buying a ticket because it's a big deal to buy a ticket for a live entertainment, get a baby-sitter and pay for the meal, the parking, whatever. I also don't have a desire to be on the A-list. I feel more people can relate to the D-list than the A-list. I have a no-apology policy. I have to tell you, though, the sexism in late night talk is so profound.